The importance of social media in the field of digital marketing cannot be stated enough. What started as tools to communicate with friends has now become the single most important tool for marketing effectively. 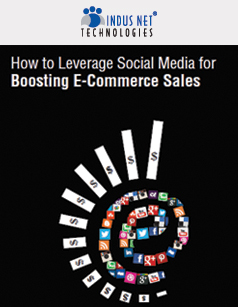 “How to Leverage Social Media for Boosting E-Commerce Sales” is a brief good to understanding the need for deploying social media strategies. It helps business owners, e-commerce store managers, social media professionals and entrepreneurs to understand the need of having a social media strategy and how each of the important social networking websites can be optimized to boost sales.